The Sweet Treat Design Team was asked to use Cricut Color Inks for our projects this week. For some tips and tricks for using the markers and to see all of the Design Team projects, please be sure to visit THIS POST at the Cuttlebug Challenge Blogspot. I used the red pen to outline the scalloped doily I posted in January (here is a LINK to the post). 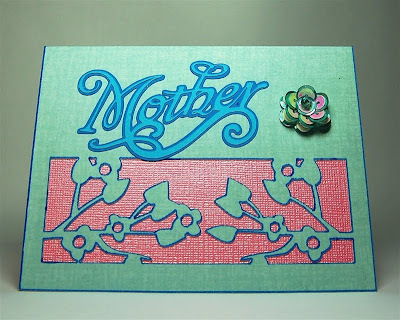 The doily is made with the Mother's Day and Plantin Schoolbook cartridges. I framed the doily in an inexpensive scrapbook page frame to use for a table setting as a serving piece for desserts or for candles. 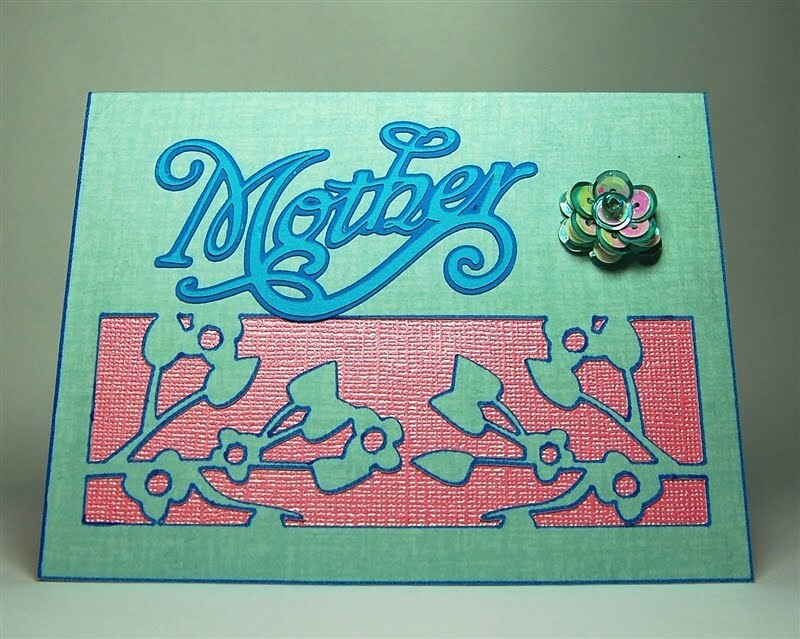 I also designed a card using the Give a Hoot and Mother's Day cartridges. 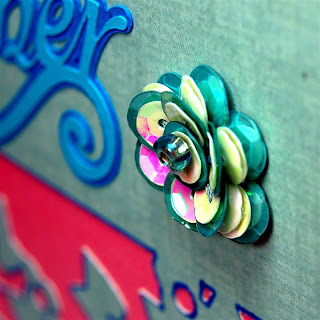 I used this charm element from Give a Hoot to create the cut out portion of the card front. I hid the outline and the hole of the charm after I sized it to fit a standard A2 card. I also hid some of the very tiny places in the design to avoid having the marker leave a blob of ink. 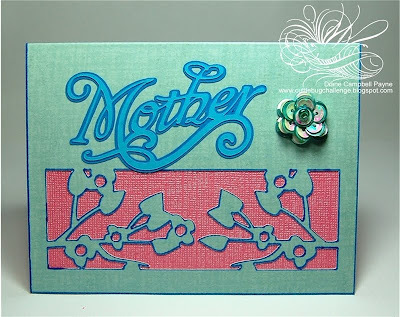 I used the markers to draw the design and then cut out the card. The markers draw a thick line and the blade cuts in about the center of the line, leaving a nicely outlined cut. 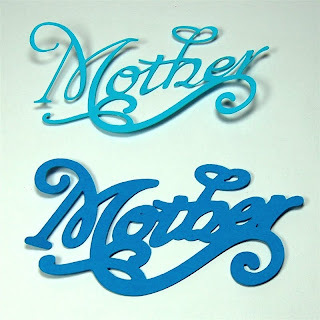 The effect is similar to inking but with a sharp edge that would be difficult to achieve by hand. When you use the markers with Design Studio the software will draw/cut in exactly the same place. DO NOT unload the mat between the drawing and cutting steps. It is a good idea to put a piece of scrap paper beneath the blade carriage when you are changing from blade to marker to prevent accidental marks on your project. 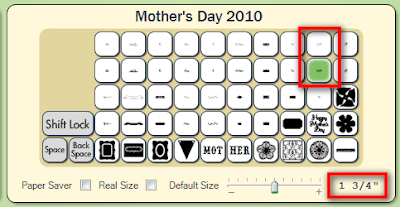 I decided to add the "Mother" word art with the lovely flourishes - there is a shadow and a top layer on the Mother's Day cartridge as shown in the screen shot above. To determine the proper size of the cut, I put the shadow version on the same mat as the card to check the fit. 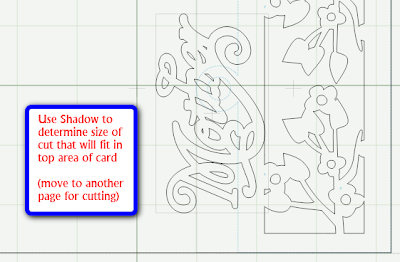 Then I moved the shadow and a top layer in the same size to another page in the file for cutting. 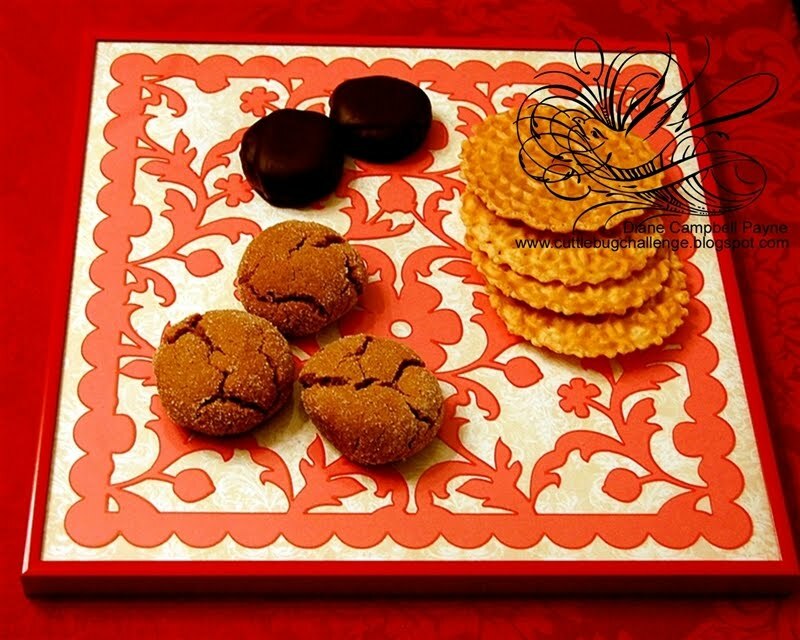 The top layer is very delicate and needs to be handled carefully when you remove it from the mat. 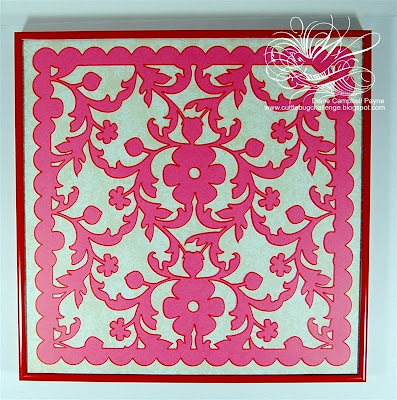 I added a liner of pink gemstone Core'dinations cardstock to the front of the card. 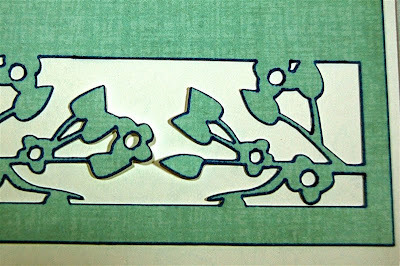 This provides a good support and nice contrast to the delicate cut. 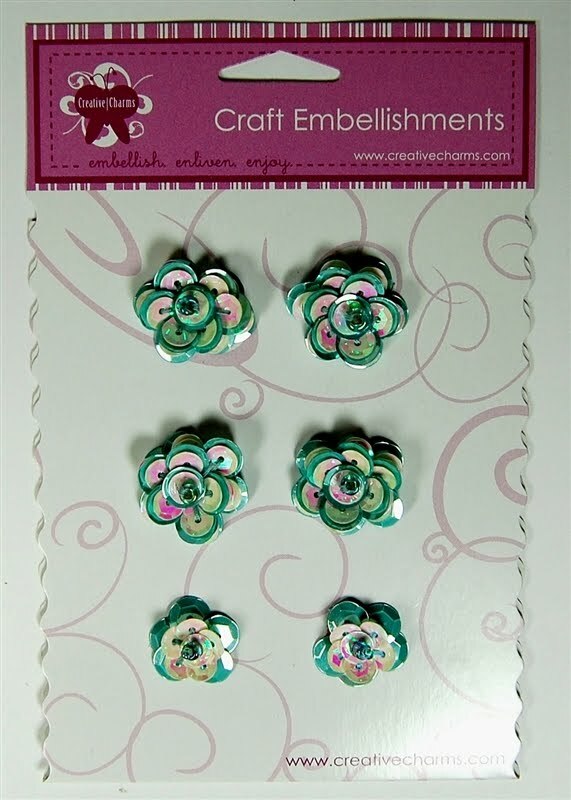 For the finishing touch I used one of these sequin flowers from Creative Charms. 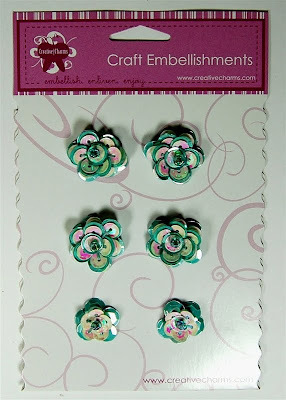 You can see these HERE on the Creative Charms site. 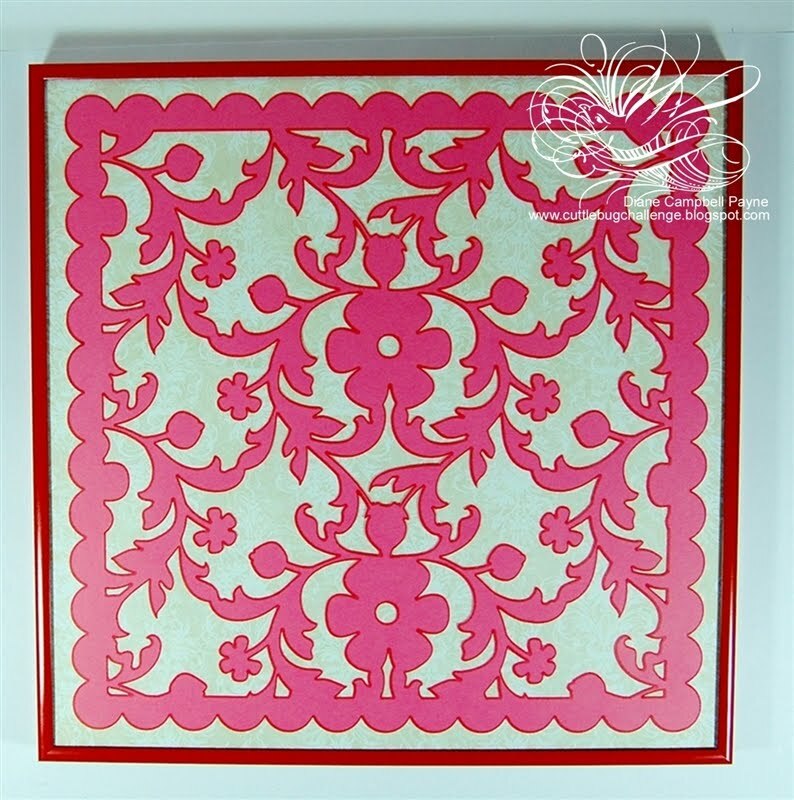 The flowers come in various colors and are very sparkly and elegant. My first set of markers came in a bundle with my Expression. I got that machine in 2007 and I discovered in working on these projects that the markers do eventually dry out. If you have some markers that are sitting around your house, why not pull them out and give them a try while they still work! 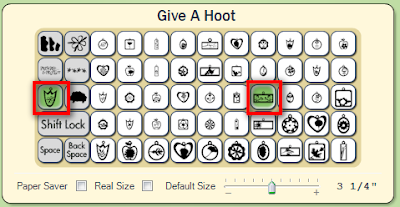 Just for fun, here is a LINK to one of my very early blog posts when I first discovered how well the markers work with Design Studio. Clever and lovely. "Mother" looks great. I had a terrible time with the "Grandmother" on the cart. Just a mess in card size. Great looking card! I mostly use my markers to draw backgrounds on papers I'm using for layouts and for making name tags for Vacation Bible School. Just completed around 250 of them for this summer's session. Love the markers! You are full of clever ideas. Thanks for sharing them with us. I love both the doily look and the card. 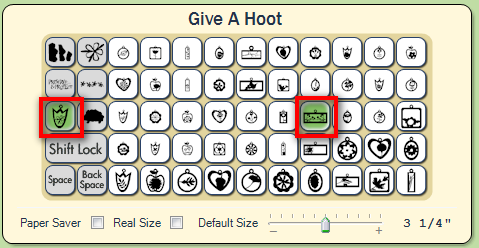 Thanks for the clear instructions. Love the doily frame idea for the table. I don't have the markers yet. I have the markers, I just don't remember to use them. I created a title the other day with MTC, but the letters were too thin. I was so upset, I threw it away. Good think I saved it, now I'll use the pens and see how it looks! Thanks for reminding us of the latest techniques. Can't wait until I get a gypsy so that I can start welding things together!